Freedom is a fundamental human right. Unfortunately, in a care setting, it is sometimes necessary to restrict a person’s liberty by imposing what is known as a Deprivation of Liberty Order (DoL). The legality of the enormous decision to take away someone’s liberty is something that rightly deserves close scrutiny. The only route to obtaining such an order is via the local authority. However, it’s possible that, either due to delays in processing the application, or because it was not recognised that the method of delivering care was in fact a deprivation of liberty, that an individual might be deprived of their liberty without a DoL in place. The article suggests that this is wide-spread and therefore thousands of people are being unlawfully restrained. 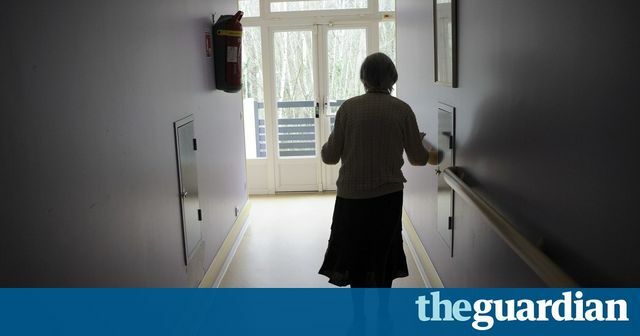 However, reputable care providers awaiting the grant of a DoL will have to find interim methods of care that do not deprive someone of their liberty, despite the fact that this will inevitably mean an increased risk of harm to that person. that there is no less restrictive alternative. there is a valid advance decision to refuse treatment or support that would be overridden by any DoLS process. Depriving someone of their liberty should only ever be a last resort and the DoLs system provides a legal safeguard to protect individuals receiving care from being restrained inappropriately. But there is an issue for care providers in that until the DoL is granted, they are legally prevented from providing the best possible care. applications are usually considered only after someone has been denied their freedom, which means that last year about 28,500 people were restrained, locked in or given medication before the move was deemed inappropriate.